Very happy with product provided. Beautiful mantel. Great communication and accurate photos. What you see is what you get. Would buy again.. 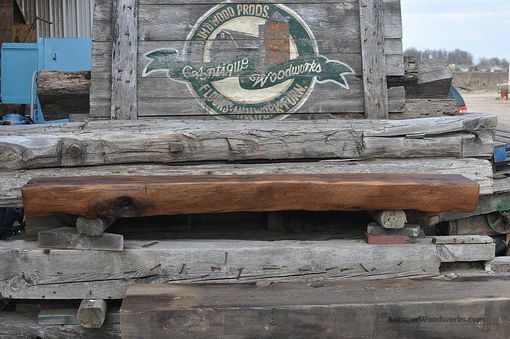 This old rustic fireplace mantel was one of only a dozen or so that came out of an old log home. 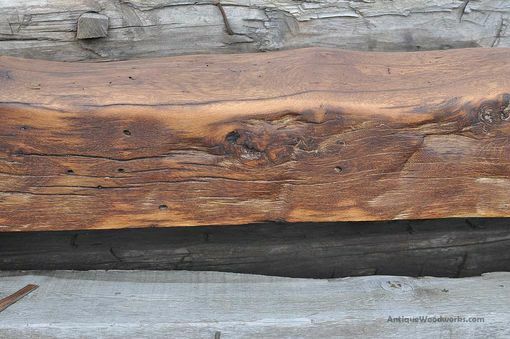 This old mantel beam not only has great character, but great history as well. 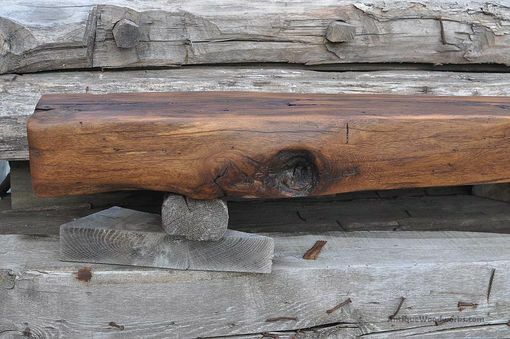 This particular log came from a log cabin that was located just south of Madison, Wisconsin. That area was settled as early as the late 1830s. This date makes sense as America were generally settled from East to West. The story goes that 4 of the sons of the original settlers went off to fight in the Civil War. 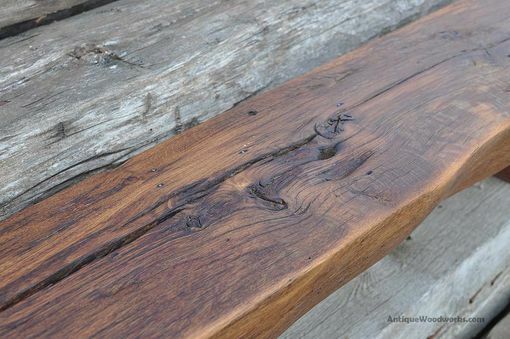 For us here in Minnesota, it is pretty neat because most of the old hand hewn material (only) dates to about 1870s – 1890s. While we like to preserve log cabins for reuse as log cabins, often times they have cut-outs for doors and additions that just don't make that practical. Like many of these old log cabins, we got lots of short pieces, i.e. "shorts" out of this one. By the time we knew about the cabin, it was a pile of logs as the owner built a new house in that spot. 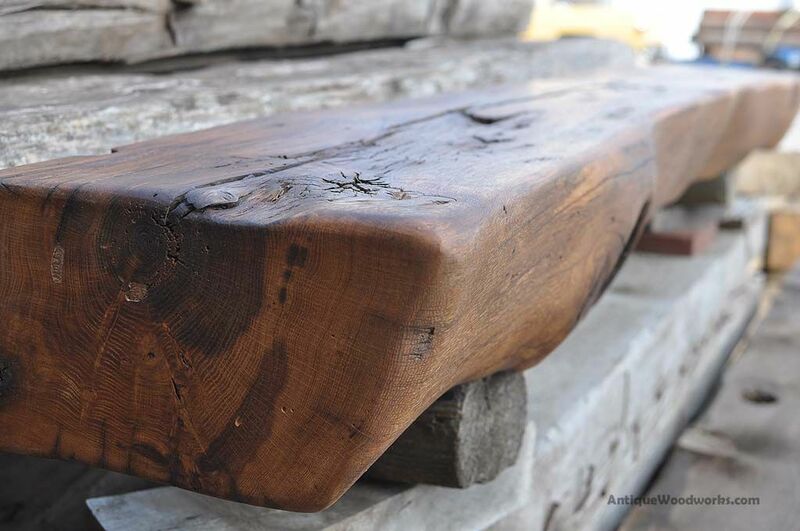 This is an incredibly beautiful mantel all the way around. Very nice color and character. Nice warm color. There is also an interesting knot hole on the left face. The hand hewn top and bottom show off all of the ax-marks from almost 200 years ago. Lots of square nails in there too. It is pretty incredible to own a piece of American history like this. Every maker has a story. 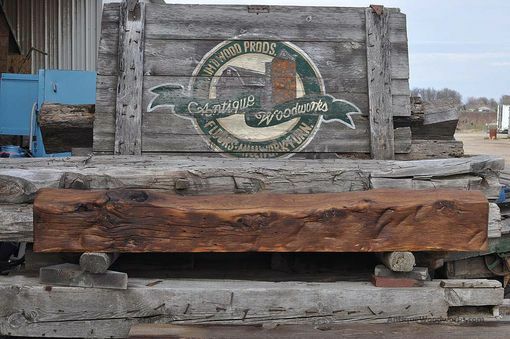 Be a part of Antique Woodworks's story by placing an order, leaving a review, and seeing your review appear here.